Michael Joo was invited to create a monumental installation for the Smithsonian’s Perspectives contemporary art series. Perspectives highlights a single artist and has presented large-scale works by internationally renowned contemporary artists including; Yayoi Kusama, Anish Kapoor, Chiharu Shiota, Do-Ho Suh and Ai Weiwei. Employing a combination of painting, sculpture, photography, digital scanning and printmaking, Joo’s works investigated the migration patterns of endangered red-crowned cranes living in Korea’s Demilitarized Zone. 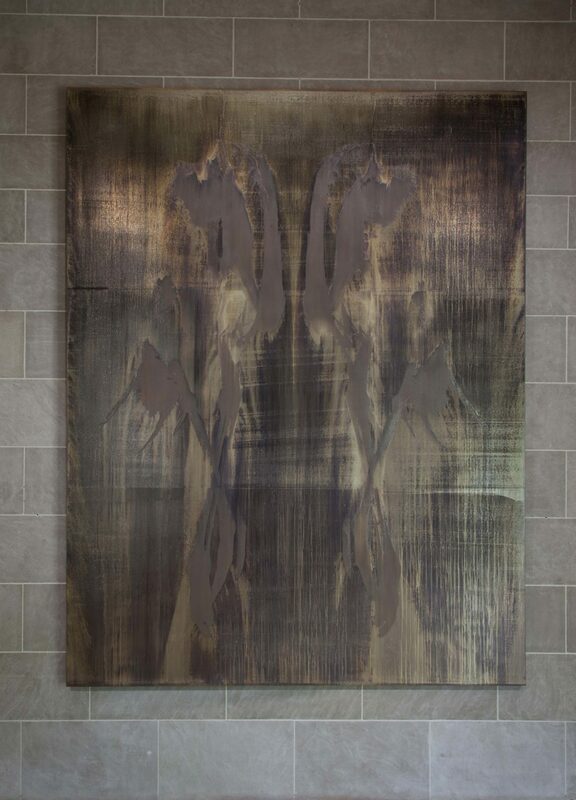 Joo used 3D ornithological scans from the Smithsonian’s National Museum of Natural History (where he was an artist fellow in 2012), to create a four metre high silvered ‘painting’ - applying the abstracted images to canvas using a silver nitrate chemical process derived from early photographic techniques. 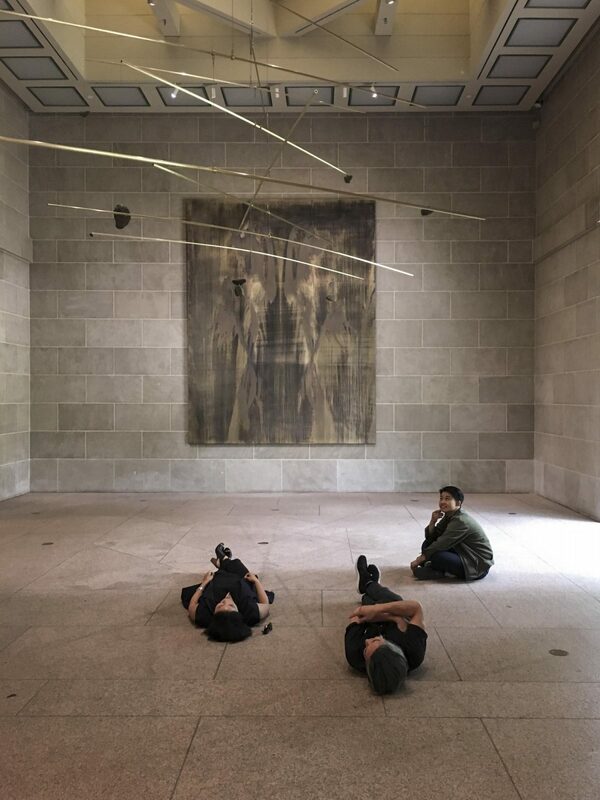 A brass rod sculpture suspended from the Sackler Pavilion ceiling, outlines the satellite-tracked migration patterns of the birds - each rod dependent on the other for balance, their lines representing freedom and the inescapability of instinct. The installation was on view for a year, during which time the natural light from the windows interacted with the silvered canvas and the sculpture’s lines – altering their appearance depending on the time of day and time of year.